The government has empowered the RBI to go after defaulters, but the big issue is haircuts and capital shortage in public sector banks. The government's much-awaited announcement of 'radical measures' to deal with Rs 14 lakh crore of stressed assets turned out to be a damp squib as it doesn't offer any quick-fix solutions to the vexed problem. What it does essentially is provide powers to the Reserve Bank of India (RBI) to facilitate faster decision making by forming oversight committees (OC), and also push bankruptcy in cases of rogue borrowers. But bankers are not enthused because bankruptcy is not a solution for a majority of the stressed cases. 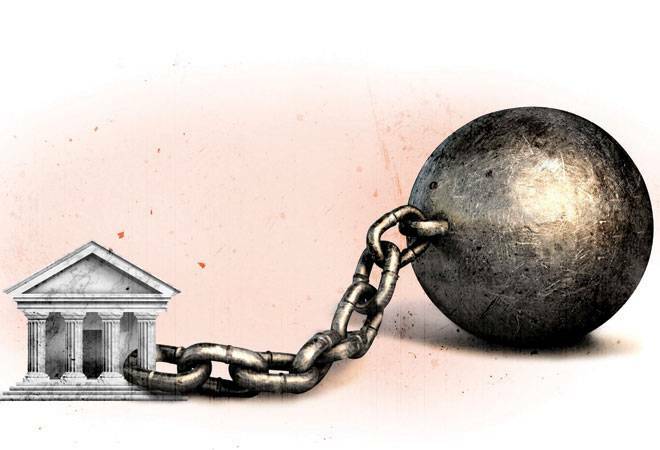 Besides, while the new ordinance makes the job of the banks easier in taking a call on deep haircuts for restructuring the debt, stressed assets have to fit into the existing resolution schemes like strategic debt restructuring (SDR), scheme for sustainable structuring of stressed assets (S4A), 5/25, etc. 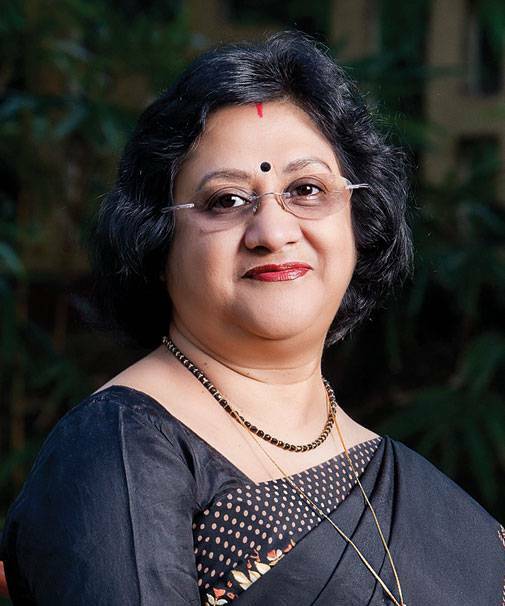 The head of the largest bank in the country, Arundhati Bhattacharya, strongly advocates for relaxation in the existing resolution schemes. Banks have, in fact, already made a representation to RBI to tweak them. "There is no one size that fits all," RBI's Deputy Governor S.S. Mundra said before the new ordinance was announced. Currently, SDR allows banks to throw the existing management out, while S4A permits conversion of unsustainable debt into equity by retaining the existing promoter. The 5/25 scheme allows refinancing from another bank every five years, which reduces the principal repayment pressure on a project after five years. But the big hurdle is the framework or the guidelines for getting inducted into the schemes. Several cases do not fit in any of the schemes. For example, stressed power companies don't have any visibility of cash flows because the state electricity boards (SEBs) are not signing power purchase agreements (PPAs). The reason being: power is available cheap over the exchanges, so why get into a long-term contract? Bankers now believe that corporate debt restructuring (CDR) is the right fit. "CDR has the most comprehensive framework. RBI can provide some enablers to CDR for deep restructuring," suggests Bhattacharya. The CDR scheme, started way back in 2001, allows for moratorium of interest payment for some years, or even lower interest rates, and also extension of tenure for principal payment. New schemes such as SDR and S4A, launched a few years ago, were initially hailed as being better than CDR. Even as banks insist on more relaxation, there are huge stressed assets in the system awaiting resolution. Not all the cases will get resolved in the near future, which means a huge loss of production and employment for the economy. Some bankers are hopeful that 30-50 large cases, constituting the bulk of the stress, will get some focused attention for faster resolution. Bankruptcy is clearly not the panacea for all NPA ills. Currently, bankruptcy is not bank-dependent. The code can be invoked even by foreign lenders or suppliers. But this route has not been explored before the ordinance, because not all cases need to be taken to bankruptcy. There are also other hurdles like agreement on haircuts or deep haircuts. There have been instances in the past where smaller and mid-sized banks differed with the larger ones on haircuts on loans. "Every bank takes its own call based on commercial decisions, sector exposure, impact on profitability and capital," says a banker. Bhattacharya says the unsustainable debt in a stressed company has to be taken up at a subsequent date or written off. Meanwhile, smaller banks plead that they have capital shortage to absorb losses in the books because of current provisioning requirement and also losses made on haircuts. Many mid-sized banks are already on the radar of the RBI as their capital adequacy is nearing the minimum mandated level at 9 per cent. The RBI puts restriction on lending if the minimum capital adequacy slips below 9 per cent, gross NPA rises and losses widen. Smaller banks are already experiencing one or two of these characteristics for the past two years. Bhattacharya is hopeful that banks would see eye to eye on haircuts and come to the table to resolve stressed assets. Some bankers suggest easing the NPA provisioning norms. In many of the fresh NPAs, the banks have to make 100 per cent of the provisions out of profits in the next three to four years. This would eat away profits and halt the bank's ability to do any fresh lending in a big way. Global rating agency Moody's stated recently that these NPA resolution mechanisms still do not address banks' lack of capital and capacity for big write-downs, making the recovery from bad loans a long-drawn process. Besides, assuming banks agree and stressed assets fit into the existing resolution schemes, the big question is whether there will be buyers for such assets. "We haven't seen any big deal in the stressed assets space," a consultant says.